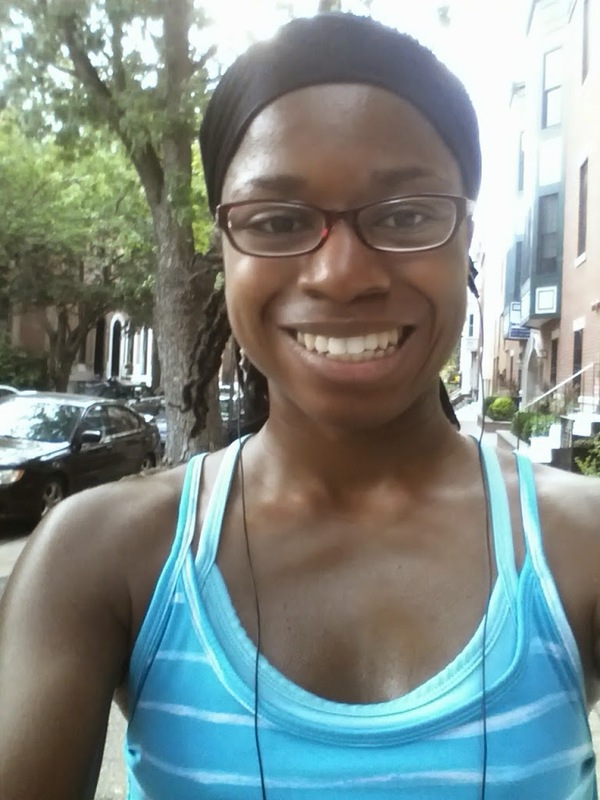 RnR Philly Half Week 7 Recap: Hello Speedwork! Hey hey! I hope you had a great weekend. Mine was a blast! On Friday night I went to CitySports for a fun preview of the FitRetreat with City Fit Girls. I bought a new yoga bag and gym bag that are both super cute! The FitRetreat on Saturday was INCREDIBLE! I am nice and sore from all the working out…gotta love it! Stay tuned for my Fit Retreat weekend within the next week! It really was an amazing time. 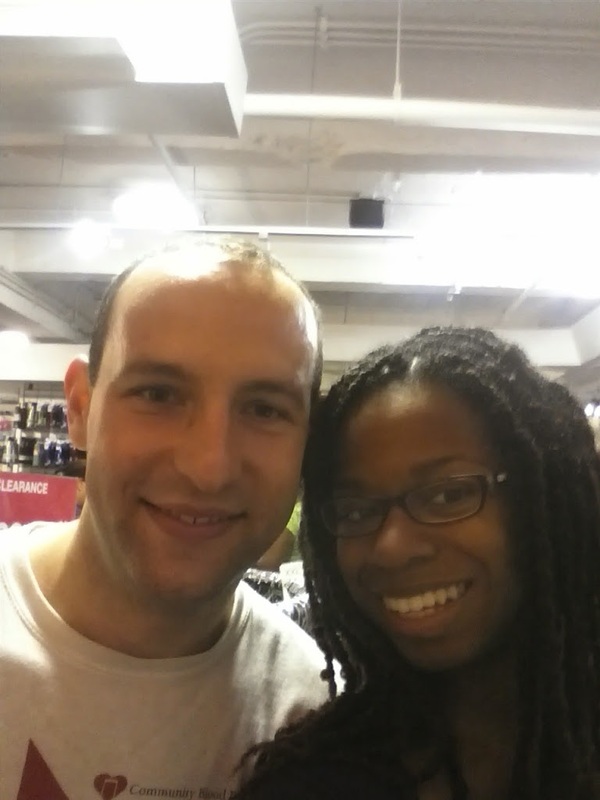 We had fun mingling and shopping at CitySports! Since it is the beginning of a new week I’m going to focus on recapping the latest in my Rock and Roll Philly Half Marathon training. The race is now less than a month away! Week 6 went amazing, how did week 7 go? Monday 8/18: My birthday! No workouts. Tuesday 8/19: Rough day, so I ended up postponing my Tuesday run. Thursday 8/21: I was still SO sore in the hamstrings and hips. But I needed to get a 3 mile run, so when I got home, I threw in the laundry and headed out. I started out feeling great but it became a drag eventually….3.10 miles in 10:35 average pace. Then we had our rescheduled kickball game (rained out last week). We barely had enough people and had to borrow some guys at the park…had some good times but got spanked. Even worse, when I ran to second base I went a little too hard and slammed into a guy on base…I hit my arm against him somehow and it was so bad that I couldn’t move my arm. Go figure! l I’m looking forward to a LONG break before the next season! Friday 8/22: My arm was still in pain and muscles are begging for a break. Unfortunately I had to call it a rest day. Saturday 8/23: Fit Retreat!! I will be writing up a full recap, but I’ll mention here that I did yoga, kickboxing, and strength and conditioning. Lots and lots of squats and lunges! Sunday 8/24: I was going to hit the 6 miles that I missed on Saturday, (and basically be 3 miles short), but I went to the water park with friends and that took up most of the day. I should have gotten it out of the way first thing in the morning. Oh well!! Just glad I could still smile after some tough runs! I was on such a high from week 6 that I just knew that everything was going to go perfectly moving forward! Plus, since I didn’t have a super long, long run scheduled I knew I’d have no problem! Unfortunately, it just didn’t happen the way I wanted it to. The week was pretty stressful overall with work, and I quickly realized that blowing off the Tuesday run was a big mistake because I had to do a lot of juggling the rest of the week. The speedwork was a lot rougher on me than I anticipated. I think I should have just followed with my usual foam and foot rolling routine, instead of trying to do yoga. I talked to Kristy about my soreness from Wednesday and Thursday and now we’re going back to 3 miles a week of running. At first I felt like this was a failure…but this is my first half marathon back, and there’s no reason for me to do overkill. Plus, my life is getting busier by the day, and every minute of my time is precious. I’m still struggling with being productive all day every day…so at least running will be more manageable. Report card this week? C+…..I ended up way short on my mileage, but I did the best with what I’ve had. Next week will be the 12-mile long run and more speedwork, hopefully I’ll get it right this time! What are your tips for a successful speedwork session?